Companies interested in participating in the CloudStore will need to submit their applications to GovTech for qualification via a Call for Participation process. Once a Service Offering has been qualified, it will be listed on the CloudStore for agencies to procure via quotations / tenders. 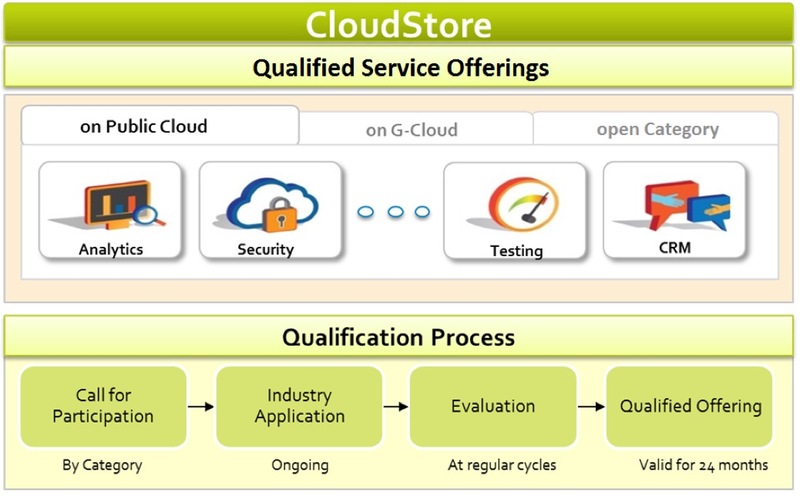 Each CloudStore qualification is valid for 24 months. The CloudStore will benefit the industry as it provides a channel for service providers to showcase their offerings to agencies. Agency procurement of these services will be simplified. The increased adoption of these services for government ICT needs will mean faster turnaround time and improve public service delivery. The first Call for Participation and second Call for Participation for CloudStore are closed. GovTech is opening a third Call for Participation for CloudStore and invites companies with any Service Offerings to submit their application for Open Category qualification. Here is the list of companies whose products have been qualified on CloudStore. For any queries, please contact CloudStore@tech.gov.sg.